After William (Ralph Ineson) is banished from a communal plantation, he settles his family on the outskirts of a forest. While trying to build a thriving farm, black magic and dark forces descend upon the family, creating paranoia and accusations that start to drive them apart. Director Robert Eggers delivers a creepy, tension-filled, well made horror movie in his feature film debut, "The Witch." Much like "The Babadook" and "It Follows," "The Witch" doesn't resort to cheap jump scares to startle its audience. Instead, it starts from the beginning and builds from an ominous atmosphere through the use of settings, lighting, and ambient sound. These visuals bring about a dramatic, compelling, and often visceral horror mystery. The fear given to audiences is not the type that will make you jump out of your seat, but rather, it's the type that is unnerving, playing on psychological terrors to make you feel uneasy. The film focuses on a Puritan family that is devoutly religious. The patriarch William, played by Ralph Ineson, has been banished from a plantation for what seems like religious differences with those in charge. He settles his family in a field on the outskirts of a forest. He has a wife named Katherine, played by Kate Dickie, and five children. Their oldest child is a teenage girl named Thomison, played by Anya Taylor-Joy, next is a boy that looks to be between the ages of 9-11 named Caleb, played by Harvey Scrimshaw, then there are the twins, a boy and a girl named Jonas and Mercy, played by Lucas Dawson and Ellie Grainger, and an infant son named Samuel, who was born on their farm settlement. It's when their newly born son Samuel disappears that all the trouble starts for this family. Eggers never makes Samuel's disappearance a mystery as we as the audience know exactly what happened to him. We also know what causes most of the other strange occurrences. This film isn't about creating a mystery, it's about witnessing the characters reacting to what they are experiencing. The family tears each other apart from the inside via paranoia, suspicion, and doubt, and these reactions are almost always horrific as hell. As Puritans in colonial times, these reactions can be just as terrifying as any witch. 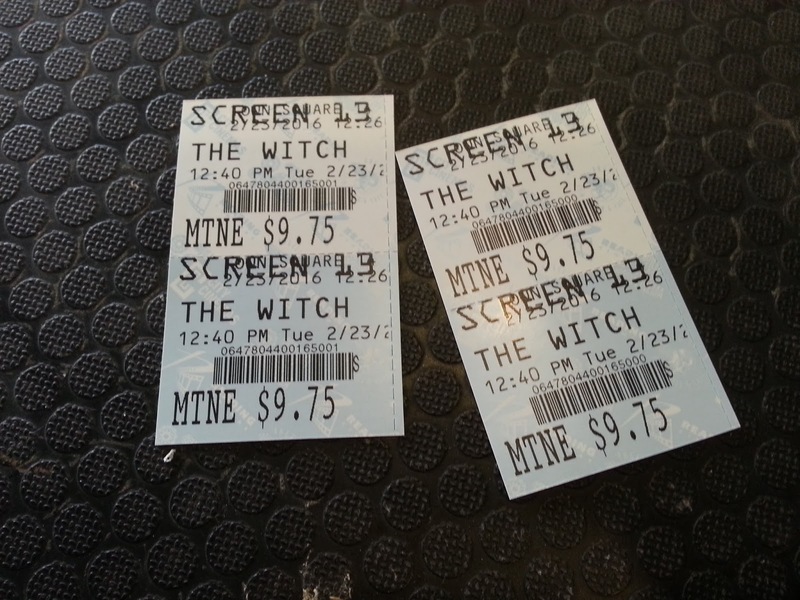 "The Witch," unfortunately, is not without flaws. Our biggest critique of the movie is that it gets off to a very slow start. 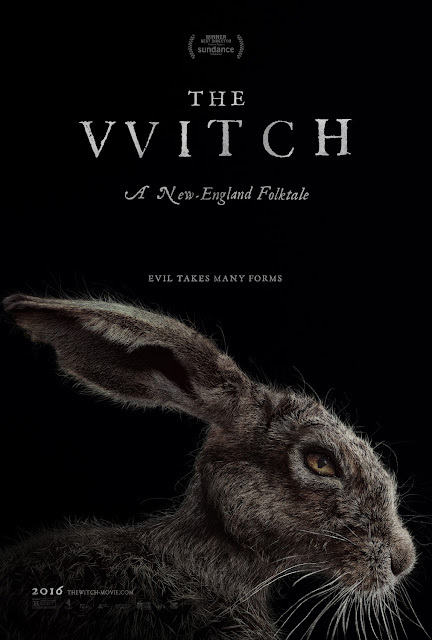 Unlike other meandering and slow beginnings, "The Witch" is content with methodically building its characters for an ultimate payoff, a great and haunting climax. However, time does drag slowly by in the first act, and it's hard not to notice this. The choice by Eggers to use the old English style of speaking dialogue will most certainly be off-putting to some viewers, though it didn't bother us. Finally, as we've mentioned, this is not your typical horror film. Fans of recent (and awful, but besides the point) horror films such as "Ouija," "The Gallows," and the "Insidious" series will most likely be bored and off-put by the lulls and lack of "expected" scares in "The Witch," but for true fans of the horror genre, put this one at the top of your "to view" list. One year ago, we were watching: "The DUFF"